Throughout the feudal times, Japan had a military government. Although the emperor was at the top of the government in feudal Japan, in reality, he had very little power and control over how the country was ran. The shogun, the military leader, in fact was a more powerful figure within the government and the whole of Japan. The shogun was equivalent to the King figure in Europe. The feudal Japanese government involved several other important titles and classes including the daimyo, samurais and ronins. Where the government was based was referred to as the bakufu, which translates to tent government, also meant the military camps. The feudal Japanese government had a dictatorship approach in politics. There were several bakufus in feudal Japan. 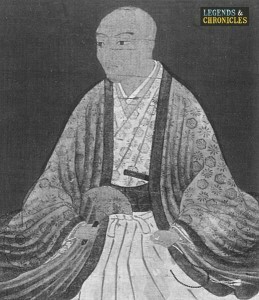 An illustration of Daimyo Ikoma Chikamasa. The daimyo had crucial roles in the government of Japan being large land owners. Kamakura shogunate was the first military government in the feudal period of Japan. It established as a result of the emerging of the Kamakura period. After the first shogun, Yoritomo died, the Hojo clan became the shikken of the Kamakura shogunte, taking over the control of the government. The Kamakura shogunate government, overall was seen very strong and powerful, keeping the country very much under control. The government, for example, kept the number of civil wars very minimum. Muromachi shogunate was a feudal military government led by the Ashikaga clan. The rising of the Muromachi shogunante was due to the overthrow of the Kamakura bakufu by those who were not happy with the lack of reward after successfully stopping the Mongol invasion. The government is seen as significantly weaker bakufu government than the previous Kamakura government. One of the reasons for this was due to the Ashikaga family sharing authority with the Emperor. During the period of when the Ashikaga bakufu was in power, Japan faced a great number of civil wars. Oda Nobunaga was the head of government during the period, followed by Toyotomi Hideyoshi. These two daimyos who originally came from the samurai background are today seen as the greatest and legendary figures. The daimyo meant the person who was the most powerful and ruled the vast majority of the land in Japan. Hideyoshi introduced a new government structure, which helped stabilise the Japanese economy and society. Some of the other important changes Hideyoshi made include clear class structure and restriction on travel depending on which social class they were categorised under. The goverment during Edo period was ran by the Tokugawa family. The feudalistic military / dictatorship government was based in Edo, today known as Tokyo. The term, bakuhan, was also developed to describe the government. 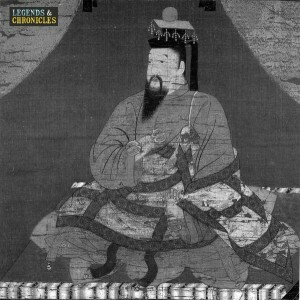 Bakuhan described the political system whereby the shogun had authority over the whole of Japan and the daimyo worked as regional authority figure. Towards the end of the 250 years of the Edo period, people became anti military government in hopes to become more civilised. Due to this, the Japan’s feudalistic government style ended, and the Emperor regained the power.